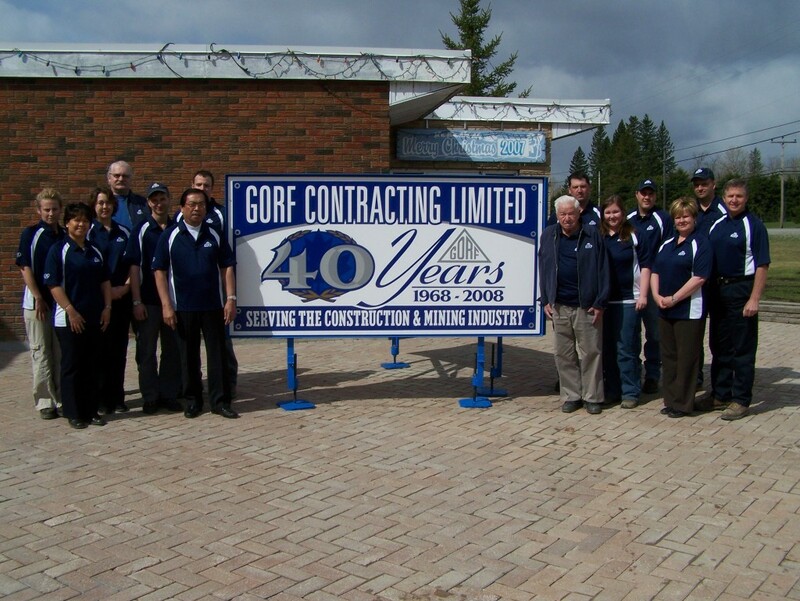 Gorf Manufacturing/Contracting Ltd. has its beginning in 1960, providing services in the mining, lumber and power generation industries. The office and shop facility was constructed in Porcupine, Ontario in 1972, on 11 hectares of cleared land. The shop itself is 22,000 square feet; it is a pre-engineered building housing a fully equipped machine shop, welding, fabrication, metal shop and steel blasting and painting facilities. Gorf Manufacturing/Contracting Ltd. has a field installation division, manufacturing division and a heavy equipment division. We are self sufficient, which gives us greater control in handling larger projects as well as small projects. We are committed to providing outstanding quality workmanship in all its facets in business. We take pride in our ability to handle a magnitude of field construction projects. These range from civil works, mechanical installation and structural steel erection. 40 years of continually improving safety. Entering 44th year focused on safety, quality, and the environment.